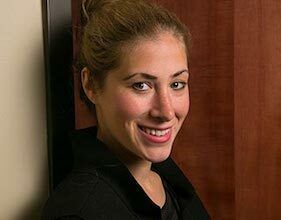 Lexie D. Stein recently joined Anderson Defense and is the newest attorney at the firm. Ms. Stein graduated from Michigan State College of Law in 2012 with a Juris Doctor Degree and became licensed to practice law that same year. Prior to attending Michigan State College of Law, Ms. Stein graduated with a Bachelor of Arts degree from the University of Manitoba with a major in Criminal Justice. For the last five years, Ms. Stein previously worked at another boutique law for in the Twin Cities practicing primarily in the criminal defense field. Ms. Stein has a long history of experience stemming from misdemeanor cases to high level felony cases. Ms. Stein has won jury trials and contested criminal hearings ranging from domestic assault to DWI’s. She has had many felony cases dismissed prior to going to trial including Terroristic Threats, Domestic Assault, DWI, and criminal sexual conduct cases. She has been extremely successful with getting great outcomes for her clients. She has kept many of her clients out of jail and prison even when her clients were facing mandatory prison sentences. She has been very effective while arguing sentencing departure motions for clients throughout Minnesota and practices statewide. Call Anderson Defense for a free consultation and ask to speak with Lexie D. Stein or Eric H. Anderson.